Popular social media outlet Instagram is a known for tastily inserting (obvious) advertisements into users’ feeds, but has also become a breeding ground for influencers, such as celebrities, who post glamorous shots adorned with products from various companies. Previously, it could be impossible to know which of these influencers were just product enthusiasts or actually getting compensated for their plug unless influencers willingly inserted the #ad or #sponsored hashtags into their post. Now, Instagram will be rolling out a new tool that would allow influencers to tag their paid posts with “Paid Partnership,” along with the name of the advertiser. 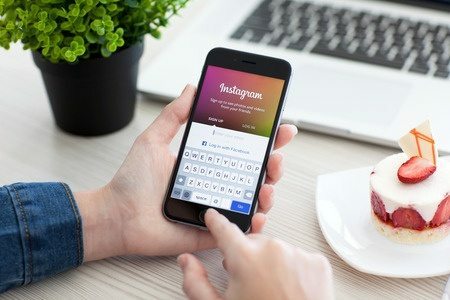 Instagram’s new tool is aimed at establishing compliance with the Federal Trade Commission’s (“FTC”) advertising guidelines, which require advertisers to “clearly and conspicuously disclose either the payment or promise of compensation prior to and in exchange for the endorsement.” Along with the tool will come enforcement policies to ensure acquiescence with the FTC guidelines. Before this tool, a study estimated that over 90% of Instagram’s top 50 celebrities had violated the FTC guidelines in regard to sponsorship disclosures, with the FTC recently sending ninety (90) influencers notices related to violating these guidelines. Scheana is arguably an influencer for both of these Instagram posts, but only disclosed that one of her posts was an advertisement. Hopefully this new tool helps to clear things up for both influencers and their followers as well. Instagram’s “Paid Partnership” tool has only been released to a limited number of businesses, but is set to be available to all users soon. If you are a company utilizing influencers, or are an influencer yourself, on Instagram and want to make sure your posts are legal under the FTC Guidelines, contact a Traverse Legal Internet Attorney to explore your options.